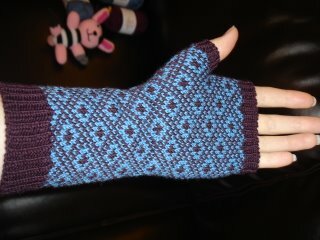 Yes I am in love, they are my bestest friends, I love you endpaper mitts! This pair is for MEEEE I love how the colours have turned out, they look so rich and warm. They also fit better this time as I have used 2.5mm needles and the tension is far better. I love those endpaper mitts, the colours are gorgeous. And nice knit picks, who did you get that from? I want to know 6 weird things about you! Also, I tagged you too. Hee. I'd like to knit these too! They are so gorgeous. I live in France and we don't have ready access to koigu so I think I'll use rowan as well. How many balls did you need of each color? Thanks! 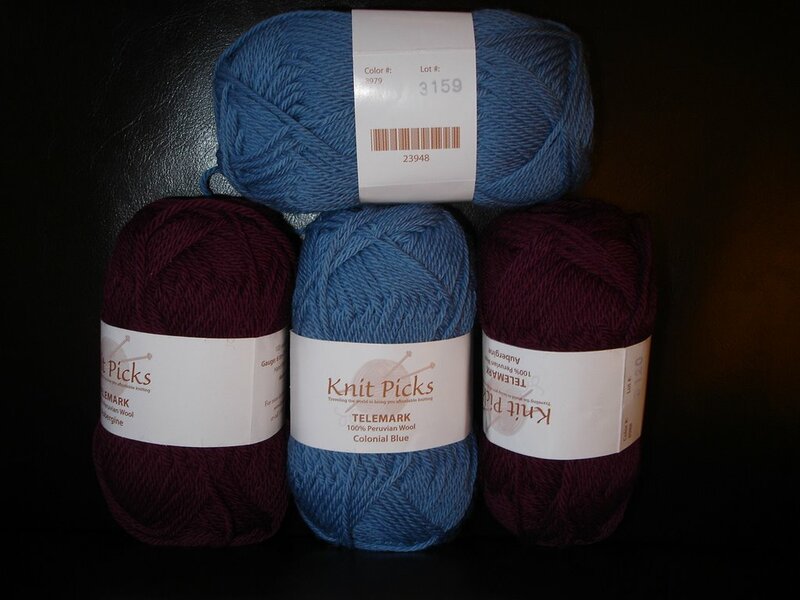 OK - so how did you get KnitPicks stuff over here? Those colors are beautiful! Hopefully mine turn out as nicely as yours.